Perhaps I’m dating myself, but the television in my house when I was young required the viewer to get up and change channels manually. Although it wasn’t very convenient, there were only two channels, and the satisfying ker-chunk of the switch almost made it worth it. We’ve come a long way since then, and now the ubiquitous remote control seems like it’s just part of normal life. But just because something has become normal, doesn’t mean it can’t be improved. 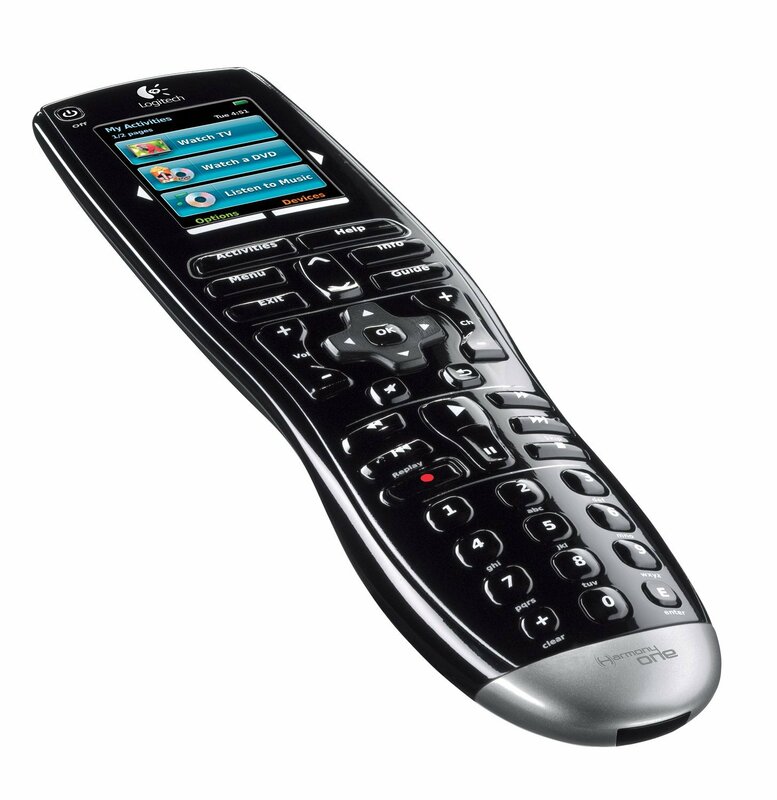 Harmony remotes have been improving on the standard universal remote control for over a decade, and Logitech purchased the founding company back in 2004. There have been quite a few iterations on the Harmony remote, and the Logitech Harmony Elite is the current top of the line model from Logitech, incorporating the Elite remote, the Harmony Hub, and the Harmony app, into one complete solution for not only remote control, but also home automation. I’ve been a Harmony user for over ten years now, starting with a Harmony 880, then the Harmony One, and now the Harmony Elite. The latest model improves on its predecessors in several ways, but keeps the original brilliance of the Harmony series with a single, easy to set up, and powerful solution to replace the myriad of remotes for all of the devices in your home. 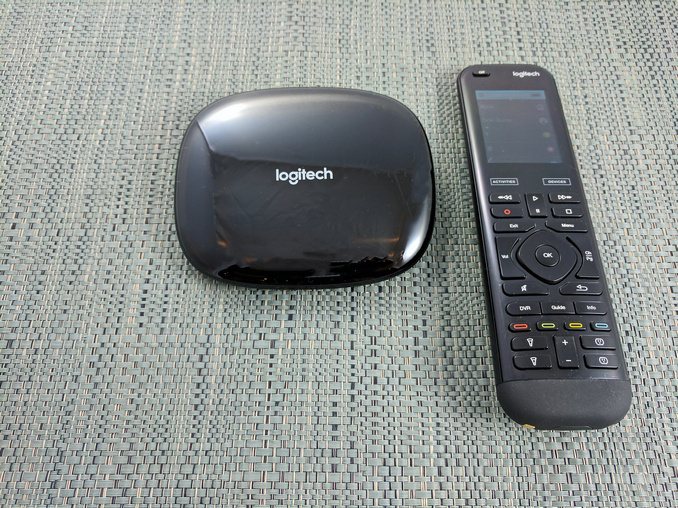 Logitech created the Harmony Hub a few years back, and was their first play into the game of home automation. The Harmony Hub is the key to the Harmony Elite’s ease of use, and powerful integration with the home. 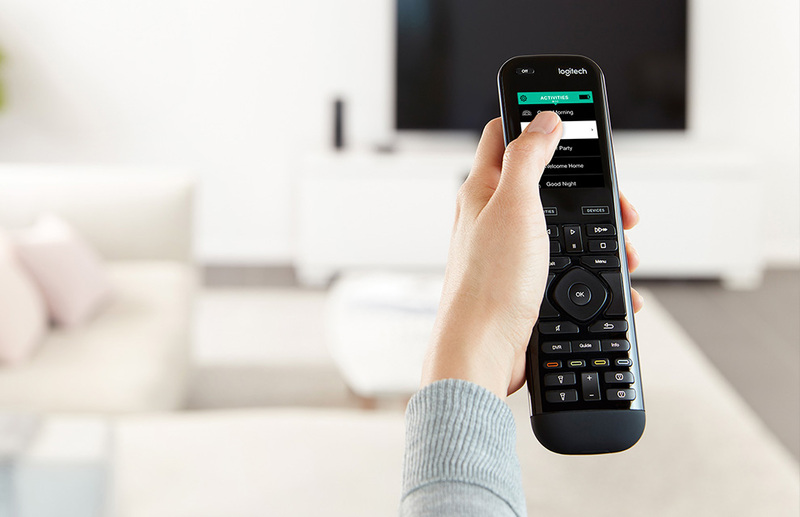 Whereas the remote allows control over IR only, the Hub gets connected to the home network, allowing it to control devices through IP, and it also supports Bluetooth control. This widely expands to capabilities of the remote, from just controlling A/V equipment, to now allowing control of smart home devices like the Nest thermostat, Phillips Hue, Lutron lighting, Sonos, and more. Adding the capabilities of IP control also make the experience no longer require line of sight, and the control is more reliable than IR alone. But the key to the overall ease of use with Harmony continues to be its unique activity-based control. For those that haven’t used it, I’ll give a quick overview of the concept. The original genius with Harmony, especially compared to other Universal remote controls, was that Harmony groups devices into activities. The typical setup would be one remote per device, so if you want to watch a movie, you may need a remote to power on the television and choose the correct input, a remote for the A/V Receiver to select the input and control the audio, and a third remote for the disc player. Then, if you wanted to watch television, you’d turn off the disc player, switch the inputs on the TV and Receiver, and then pick up the cable box remote to change channels. This is somewhat of a worst-case scenario of course. Perhaps the television remote will also control the DVD player or cable box in some manner, but regardless this is how most people operate an entertainment setup. Even the best universal remote control is always some sort of compromise, since inevitably there will be some function you need to perform on a device that will require you to dig out the remote for it. Harmony dispenses with this silliness. By grouping devices into activities, the remote will perform every function required automatically, and it will then control the correct devices for that activity. For instance, when you decide you want to watch a movie, you can select the activity titled “Watch a Movie” on the remote. It will then power on the correct equipment, select the correct inputs, and automatically switch the remote functions to support the activity. Play/Pause and the like will be mapped to the disc player, and volume control will be for the A/V Receiver. You can customize each activity to suit your individual tastes, and every single button can be mapped to other functions if you need to change any of the functions. Then, when you want to watch television instead, pressing “Watch TV” will power off the disc player, power on the cable box, select the correct inputs, and remap the remote buttons as required. For any of those rare times where you need to control some obscure feature of your equipment, Harmony also has a Devices mode, where you can pick a single device and get full control of it and all of its features. The combination of activities and devices make the cumbersome process of controlling several devices into a simple, seamless task. The Harmony Elite builds on this already powerful control that Harmony has always had, but the underlying philosophies are the same. That's what I'm thinking. I've been rolling with a Harmony 700 for years now and before that I can't remember the model. Even these are normally $120-$160, but go on sale for $50-$70. $300 though? They are now competing with free phone apps that can control devices. Just bought a Harmony Companion on Saturday and it should show up today. Of course I was debating getting the Elite but I didn't want to shell out over twice as much for the touchscreen. Hoping that integration with IFTTT and Google Home can help with routines/activities for power and inputs and I can just use the remote for basic remote stuff (volume control, channel changes, etc. ).